Top 100 Home Builder Knows FlowGuard Gold® CPVC Ensures Consistent Performance | Lubrizol Advanced Materials, Inc.
With success as a semi-custom home builder, Homes by WestBay expanded into the luxury home business with rapid growth. The Tampa Bay area builder has grown so much since its start in 2009 that they now rank as 2018’s 100th largest homebuilder in the U.S. When starting out, the company built only nine homes – in 2018, they expect to build more than 540 homes. Homes by WestBay has earned this success through their commitment to providing high-quality homes to buyers – and avoiding common mistakes that have left other builders vulnerable to warranty and water quality issues. 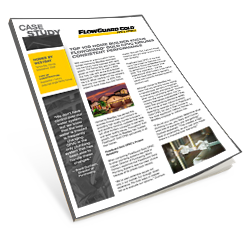 Throughout their growth, Homes by WestBay has trusted FlowGuard Gold® CPVC exclusively in all their homes.